Staff and management were very very friendly and helpful...would definitely recommend the place! Everything! Well maintained, fantastic layout, good location, friendly and helpful staff. Stayed in the three-bedrooms villa. The unit is very spacious with a large bathroom in each bedroom. They provide the villa with electric mosquitos repellent. The villa was spacious and well appointed. The pool area and garden is beautiful and the pool a really good size. The bedrooms are very comfortable and the bathroom/shower fab. We had breakfast at the villa and were delighted when the chef and assistant cooked it for us in our kitchen. It was delicious. 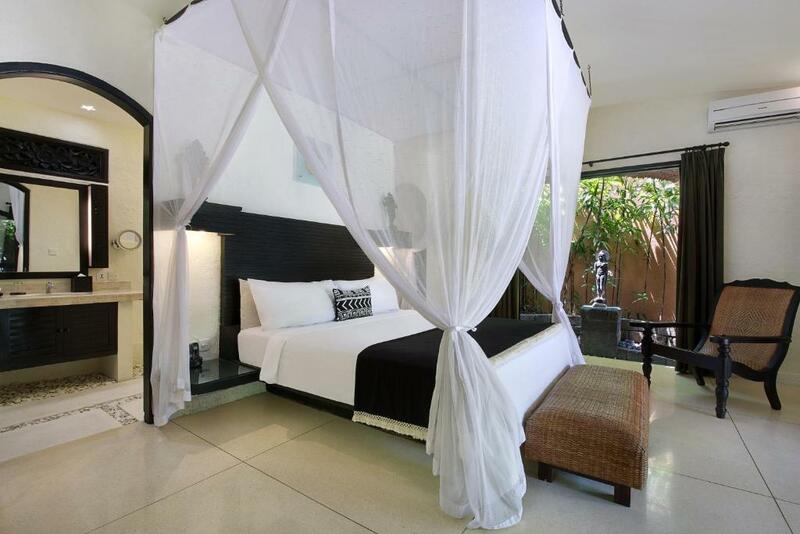 The villa is well situated just a few minutes walk to the centre of Seminyak. The pool was just perfect set in the gardens, loved it. The bed was soft and comfy. The full kitchen was great very handy. Having the radio to use and table setting with the ceiling fan made it so easy to just relax and enjoy the setting. The staff were so friendly and helpful and The Chill reflexology treatment was heavenly. There is some serious security there to which gives a very safe feeling. I like the excellent service provided by the staff. 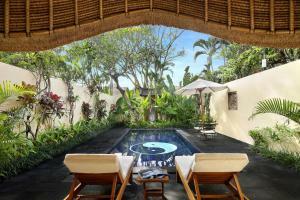 Lock in a great price for Impiana Private Villas Seminyak – rated 8.9 by recent guests! 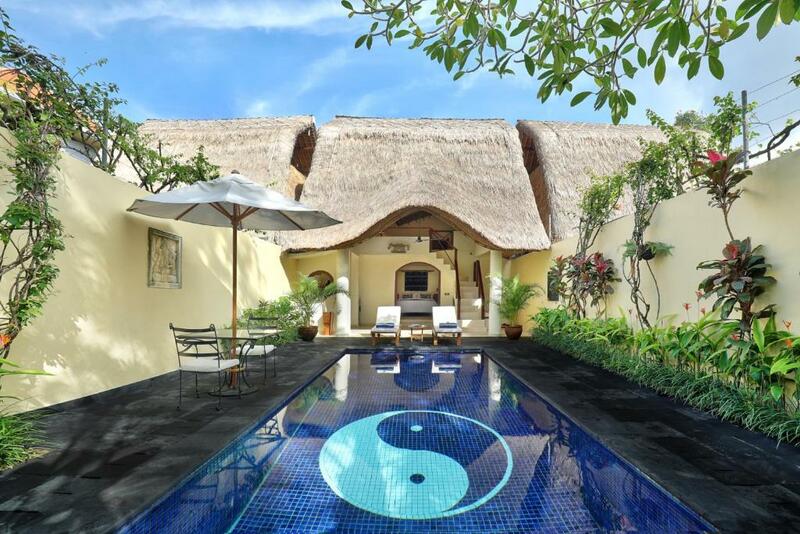 Impiana Private Villas Seminyak This rating is a reflection of how the property compares to the industry standard when it comes to price, facilities and services available. It's based on a self-evaluation by the property. Use this rating to help choose your stay! Surrounded by boutique shops and restaurants, Impiana Private Villas Seminyak is located right in the heart of Seminyak. Featuring traditional Balinese architecture with its signature thatched roofs, each villa offers a private pool and a seating area. Seminyak Beach is only a 0.9 mi away from Impiana Private Villas Seminyak, while Legian Beach is about 1.6 mi away. The property is around 3 mi from the iconic and lively Kuta Beach while Bali Denpasar International Airport is 3.9 mi away. Airport shuttle is available upon request at an extra fee. All of the villas come with tropical gardens and day beds. Each villa has a kitchen and dining area. Amenities include a flat-screen TV, DVD player and stereo with iPod dock. 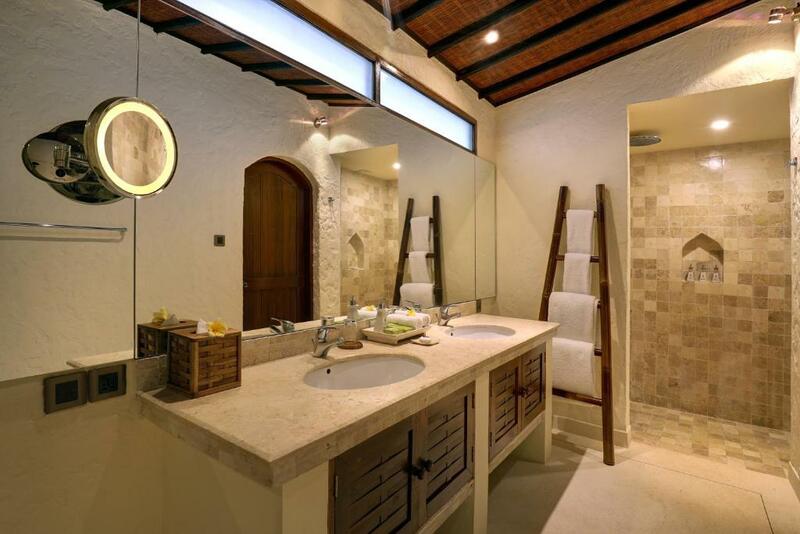 Every bedroom has an private bathroom with a shower and free amenities. 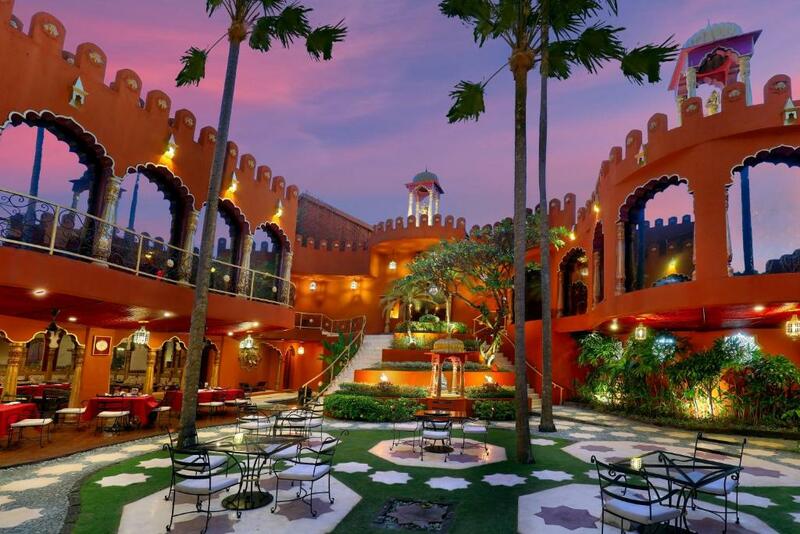 Apart from facials and massage treatments, the uniquely-themed Prana Spa features a yoga room and an open-air courtyard with hot and cold plunge pools. The gift shop sells handicrafts from Bali and other parts of Asia. Prana Restaurant offers a healthy menu. A room service menu is also available, featuring Indonesian, Asian, and Western options. When would you like to stay at Impiana Private Villas Seminyak? Featuring a large, filtered swimming pool, this villa features a manicured garden, a sundeck and a fully-equipped kitchen with a dining area. Please note that one extra bed for child up to 12 years old can be accommodated in this villa. 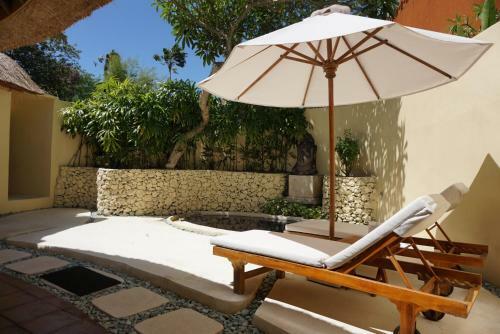 Villa features 2 bedrooms, both with attached bathrooms and views of the large private pool. Each of the bedroom is also air conditioned and fitted with an extra large double bed. Please note that two extra beds can be accommodated in this villa for children up to 12 years old. 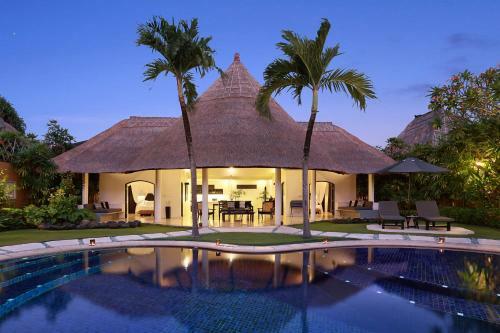 This villa features a large pool, 2 bedrooms and another separate, round-shaped bedroom across the garden. Each bedroom is air-conditioned and fitted with large double bed. This is interconnected 2-bedroom villa and 2 units of 3-bedroom villas. All bedrooms are air-conditioned. Guests enjoy a private pool. Extra bed can be accommodated for children up to 12 years old. This studio is fitted with air conditioning, a flat-screen TV, and a plunge pool. This is interconnected 2-bedroom villa and 3-bedroom villa. All bedrooms are air-conditioned. Guests enjoy a private pool. Extra bed can be accommodated for children up to 12 years old. This villa has a garden view, tumble dryer and dining area. "64 football matches have been scheduled for 2018 FIFA World Cup Russia! Let’s watch the matches and cheer your excitement together at our Prana Restaurant!" As a guest you not only have the privacy&luxury of your own private villa but all the services you would expect of a full service hotel with all the necessary equipment & of course luxurious accommodation,surrounded by lush garden& a large swimming pool. Our exclusive accommodation offers privacy and luxury with all the conveniences of a fully serviced hotel. 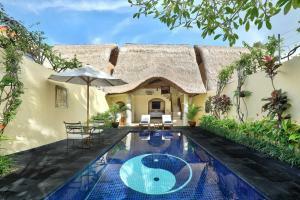 House Rules Impiana Private Villas Seminyak takes special requests – add in the next step! Impiana Private Villas Seminyak accepts these cards and reserves the right to temporarily hold an amount prior to arrival. Please note that extra bed comes at extra charge for each villa type including breakfast. Extra beds are ideal for children and small-framed adults. Please contact the hotel directly for more details on the extra bed charges. Please inform Impiana Private Villas Seminyak of your expected arrival time in advance. You can use the Special Requests box when booking, or contact the property directly using the contact details in your confirmation. We loved everything about this property it was beautiful!!! The stay here was really something special. The professionalism of all staff was really noticeable. Miss Dea the guest experience manager made the stay unique, personal and so enjoyable. She welcomed us with flowers, petals, and even a photo frame of us. The villa itself was exceptional, the privacy and luxury of both the villa and swimming pool was amazing. The driver (Abdulhamid) from the airport was professional and welcomed us so warmly. Would definitely come again. And to top it all off the sendaway gift and card made it a stay never to be forgotten!!! This was my fifth stay and I must say the service just gets better. The property was recently purchased and while everything about the physical appearance is the same, the management and customer training of the team is very different. Very service focused!! Went out of their way to assist. Nothing was too hard. Dea, our Customer Relations Officer was amazing!!! The restruant menu had the addition of an Indian menu - outstanding dishes along with an additional Asian menu on certain days of the week. I enjoyed our stayso much that I extended the holiday and took a side trip to their new property located 15km from the Prana Spa. I'll review that separately. I've also booked two more return trips and will be a return guest. Great and exclusive Oasis in the middle of town. Private pool, very nice rooms and excellent breakfast service. Service was of high quality at all times. Highly recommended. Some villas separate from the main villa area. Therefore couldnt use the resteraunt for breakfast, unless you wanted to walk far to the main area. Cleanliness of the rooms, privacy, amazing pool and staff were so friendly and accommodating!